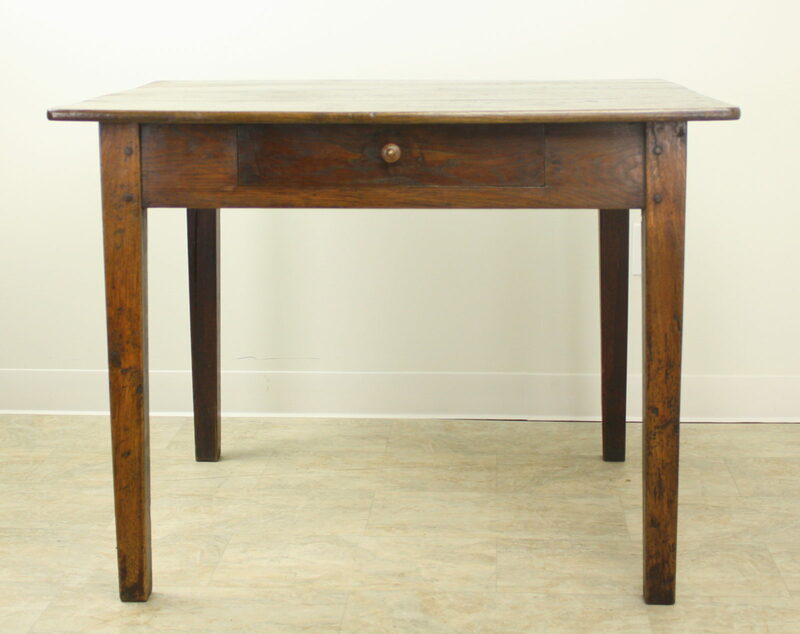 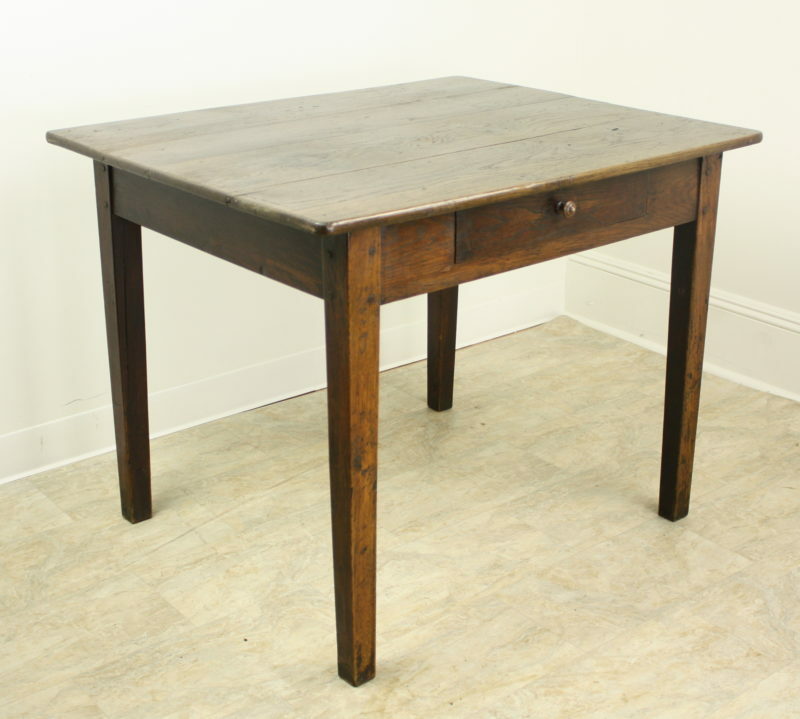 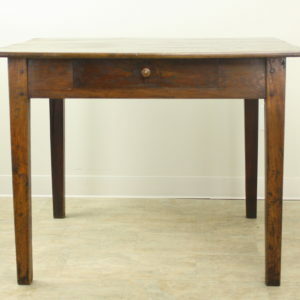 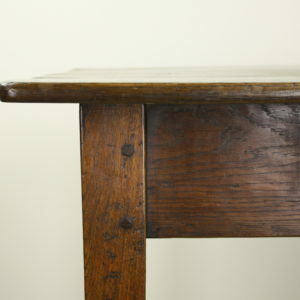 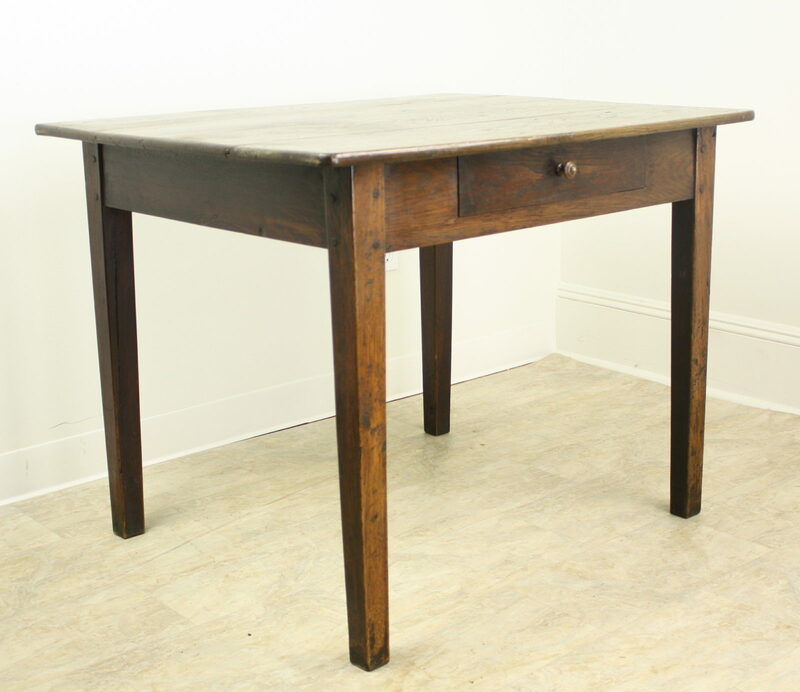 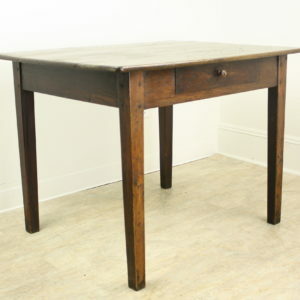 A handsome dark chestnut writing table with generous proportions on sturdy tapered legs. 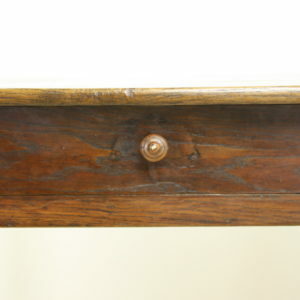 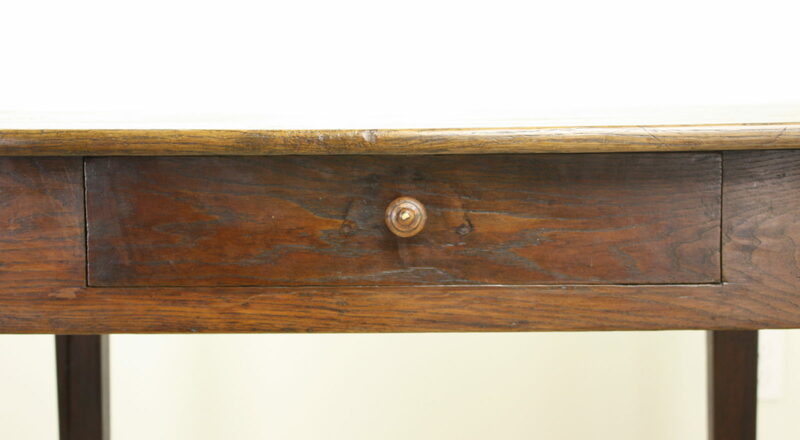 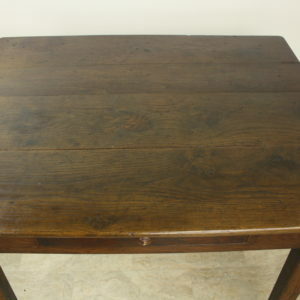 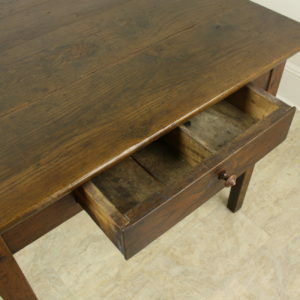 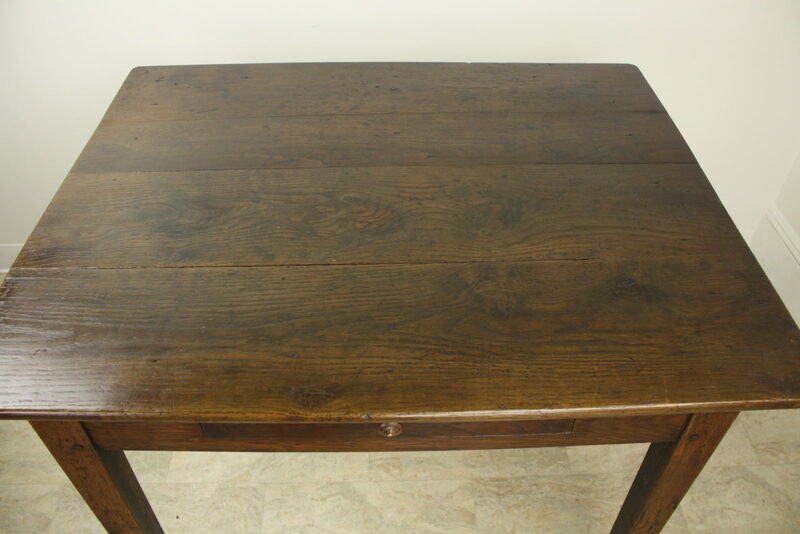 The wood has nice color and patina, and the extra depth of the piece makes it an elegant and functional work surface. 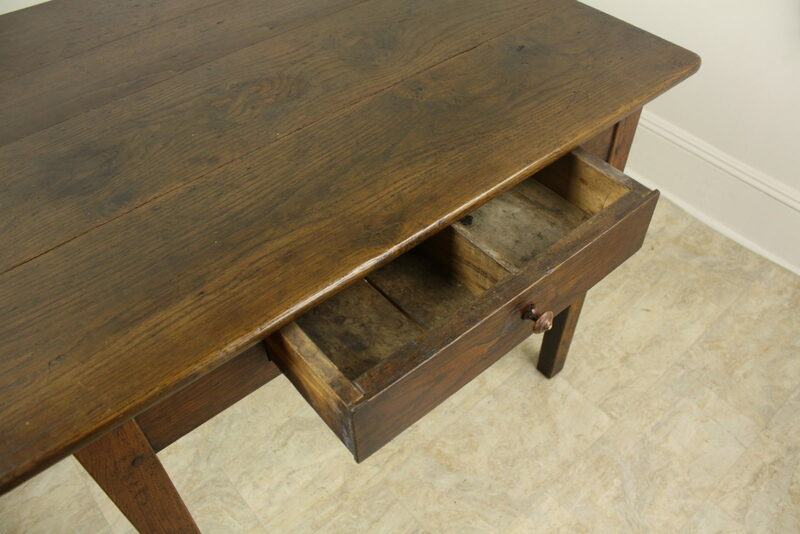 One single divided drawer. 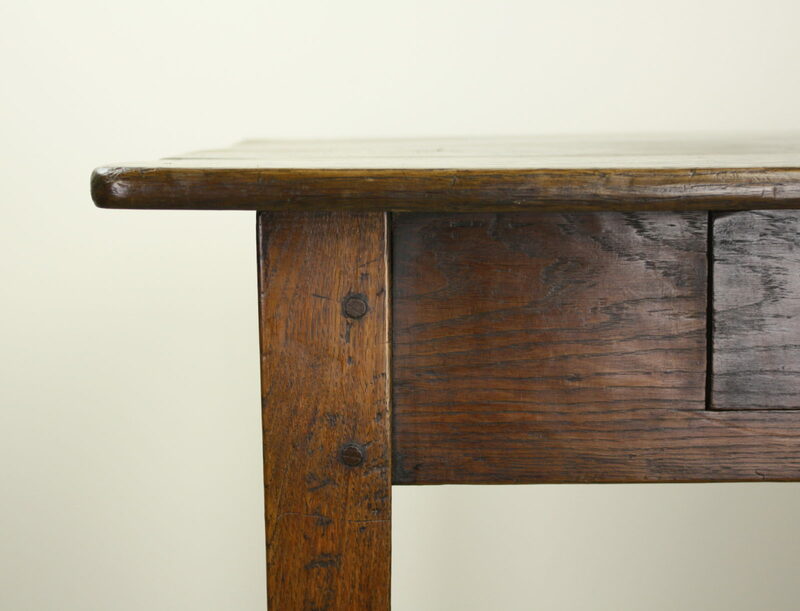 At 24″, apron height is .comfortable for knees.